When you hear the word Yodeling, there are three things you can do. 1) Look up the definition to be sure you know what it really is, or see if it some new-aged term. To save you the time, per Merriam-Webster, it is to sing by suddenly changing from a natural voice to a falsetto and back. 2) Search for videos that feature this action. Again, saving you some time. Found a great one! 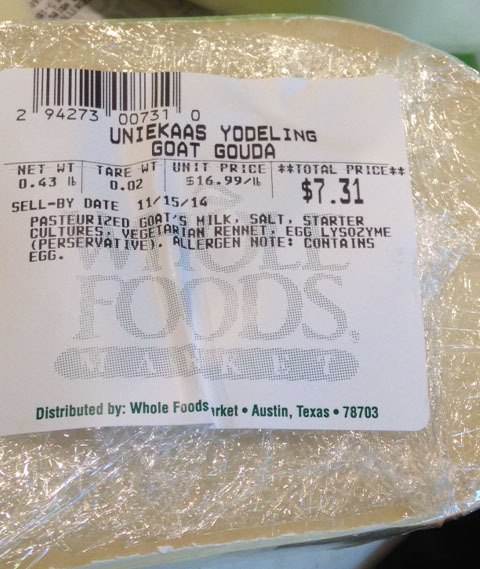 3) Go to Whole Foods and buy Yodeling Goat Gouda! A great cheese for lactose-intolerant folks, those who love cheese, anybody who wants to try something new or just easily Yodle, because they don’t want to sing. 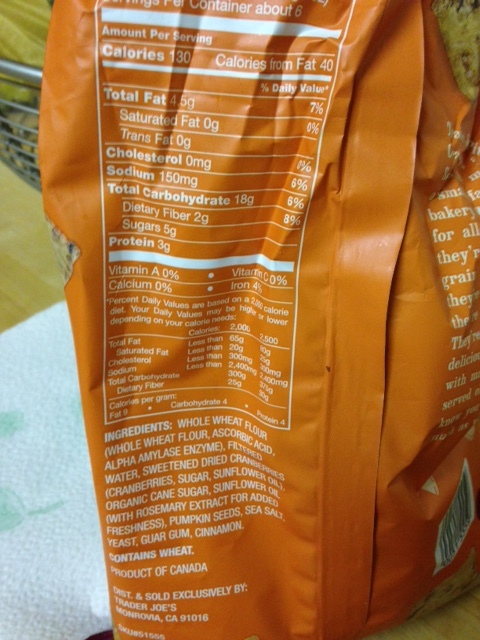 I saw this the other day when I was at Whole Foods and picked some up. 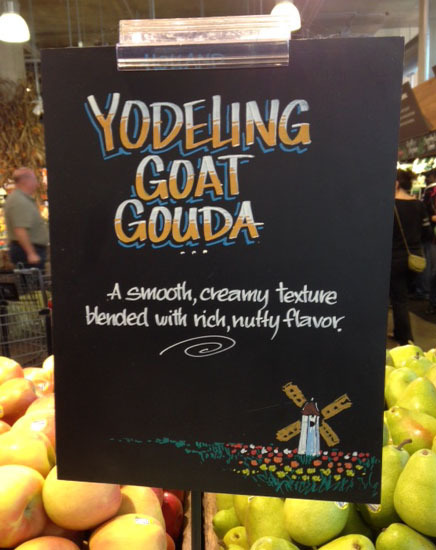 It’s great because it’s harder than the normal goat cheese and as the sign mentions, has a bit of a nutty flavor. Also, I’ve not purchase that much cheese there and didn’t realize they cut you as big or small of piece(s) as you want to take home. I got a nice small piece to take with me. 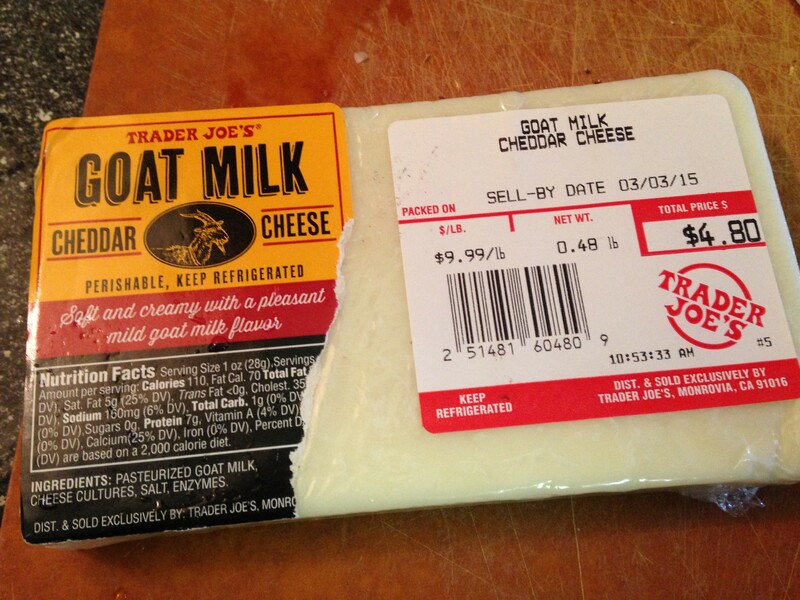 I finally broke down and picked up one of Trader Joe’s seasonal items. 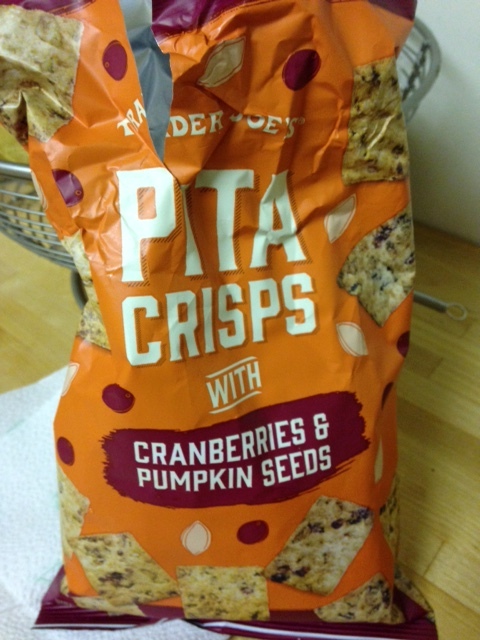 Their Pita Crisps with Cranberries & Pumpkin Seeds. Good/bad idea. Addictive! They are nice and crunchy and have something like cinnamon sugar on the outside. I have tried to put them out of my direct line of sight so I don’t finish the whole bag immediately. I recommend giving them a try before they are off the shelves.